The 2019 enrollment season has started, with students registering applications for universities on April 1-20. The HCMC National University has closed the first campaign of taking registrations for the ability assessment test. 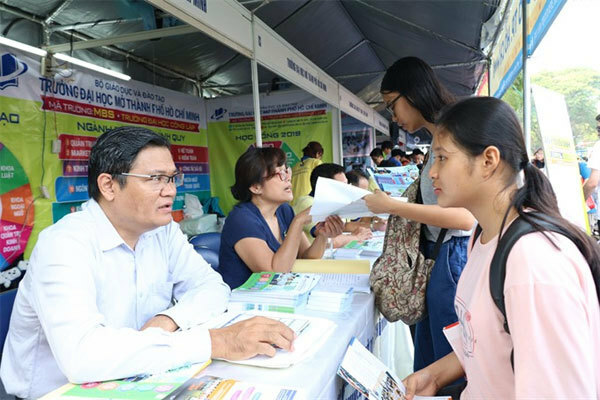 Nearly 37,000 students registered to sit the test, 4,900 more than 2018, according to Nguyen Quoc Chinh, director of the Testing Center and Training Quality Assessment. The results of the assessment test will be made public by mid-April. The second campaign will be organized in mid-July 2019. Students can register to attend both tests and can apply for universities. Schools now have the right to determine the enrollment method. They can consider exam scores that students have from national high-school finals, students’ learning records at high school, achievements at international competitions, or students’ assessment tests. Schools now have the right to determine the enrollment method. They can consider exam scores that students have from national high-school finals, students’ learning records at high school, achievements at international competitions, or students’ assessment tests. Students can also enroll in some schools without having to attend any exams or ability tests. The ability assessment test has 120 multiple-choice questions which students need to solve in 150 minutes. It has the same approach as tests in developed countries, such as SAT (Scholastic Assessment Test) in the US and TSA (Thinking Skills Assessment) in the UK. The assessment test is considered a step forward in schools’ efforts to improve enrollment methods. It helps ease reliance on high-school finals’ results, while students can choose the time most convenient to them to attend the test. Instead of sitting and waiting for students, schools now compete with each other to find excellent students. The HCMC Economics University has stated it will offer 4,200 scholarships worth VND35 billion to its existing and new students, an increase of VND10 billion compared with last year. Do Van Dung, rector of the HCMC University of Technique Education, said his school will grant scholarships to the students with a 26 score and higher for three exam subjects at the national high-school finals. It promises to exempt 100 percent of tuition for students in AI and robotics majors. The Hong Bang International University promises to grant full scholarships to students studying preschool education and is committed to work for Hong Bang’s preschools after graduation. Universities have also attracted students by opening new training majors based on society’s labor demand. The HCMC University of Social Sciences & Humanities, for instance, has opened Information Administration and Vietnamese Studies. Pham Thai Son from the HCMC Food Industry University said top-tier schools compete for excellent students, while less prestigious schools compete to enroll enough students.